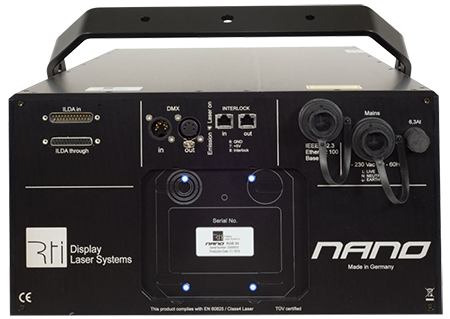 applications requiring extra laser power in larger environments or outdoor situations where high ambient light levels, distance and projection size are determining factors. 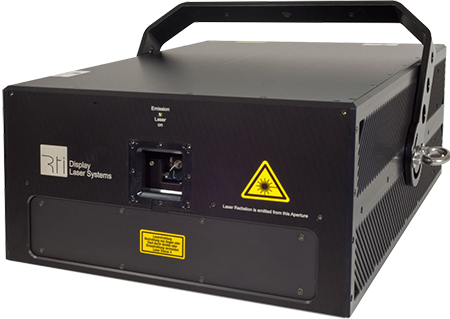 DIODE 30 - 50 Watt White RGB Laser. >40kpps@8° ILDA, max. 50° (@25kpps); optional: CT-6215HP Big Boy Driver, 60kpps@8° ILDA, max. 60° (@30kpps).